Living Color Landscape is a full service landscape company, licensed in the State of Oregon (LCB #7311) and in the State of Washington( WCL#990CW). Living Color performs services in the areas of commercial/residential landscape maintenance, landscape installation, and irrigation maintenance and installation. We are also licensed in both states for pesticide applications and carry a 2 million dollar liability insurance policy. 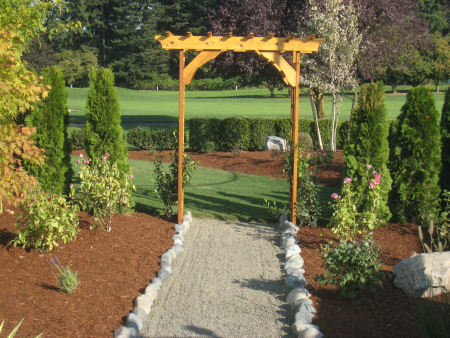 Living Color Landscape (LCL) maintains the landscaping for over 385 commercial accounts in the Portland/Seattle markets. Servicing the I-5 corridor from Corvallis, Oregon to Bellingham, Washington. LCL specializes in maintaining fast food restaurants and other high visibility commercial accounts. Our crews are trained to keep their accounts looking “clean, sharp, and healthy”. We do whatever it takes to reach this standard. Also, because curb appeal means so much to our customers, our goal is to get your customers attention at 35 miles per hour. We achieve this through bright curbside flower color and a sharp landscape. LCL designs and installs complete landscape and irrigation systems. We can maintain or upgrade your existing landscape or install new landscape. Commercial and Residential services available. Living Color Nursery is a full service nursery providing quality trees, shrubs and flowers plants for your home or business.